Tons of classic rock news happening over the last couple of weeks and When It Was Cool has been following several important stories in the world of classic rock music. Many in the media were skeptical that former KISS guitarist who has been a recluse for the last twenty years, Vinnie Vincent, who had been advertised for the January 20, 2018 KISS Expo in Atlanta, Georgia would actually appear. However, Vincent not only appeared but also sang and played guitar, and did multiple interviews including one with Hard Rock DJ Eddie Trunk. Vinnie Vincent not only seemed lucid and in good health but according to a report by Blabbermouth.net, Vincent told SiriusXM that he has accepted the invitation to appear at Gene Simmons's Nashville stop of the KISS bassist and vocalist's promotional tour in support of his box set, "The Vault", which will take place on April 14, 2018. Below is Vinnie Vincent's interview with Eddie Trunk. Rush is done. 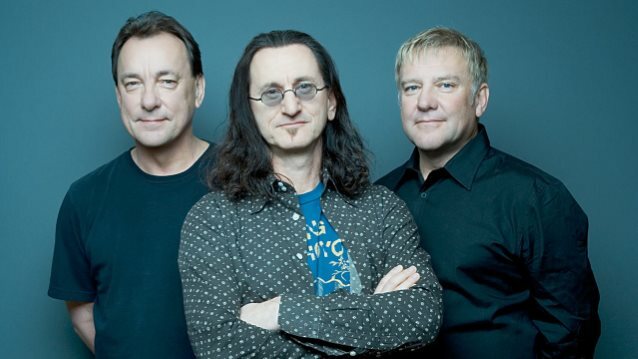 It seems to be confirmed by Alex Lifeson that Rush is officially finished. This comes as no surprise to longtime Rush fans but it appears that any hope of the band recording new music or touring again has been laid to rest by the group's guitarist Alex Lifeson. In an interview this past week with The Globe and Mail, Alex Lifeson stated, "It's been a little over two years since Rush last toured. We have no plans to tour or record any more. We're basically done. After 41 years, we felt it was enough." Since there appears to be no more new Rush music on the horizon why not check out our popular 100 Greatest Rush Songs article and maybe you'll find a new gem among their massive catalog of inventive and amazing music. Chicago is falling apart. Two Chicago members including long time drummer Tris Imboden have quit the band. Chicago has been a monster touring machine since the 1960s with numerous top 40 hits from the 1970s into the 1990s. During this time, the band has undergone numerous roster changes with today's version of Chicago having very little resemblance to the Chicago of that hit making era. Of course, famously, Peter Cetera split with Chicago in 1985 and since then has been replaced by Jason Scheff (who left the band in 2016) and was then replaced by Jeff Coffey. Drummer Danny Seraphine left the band under less than amicable circumstances in 1990 and was replaced by Tris Imboden. "Dear Friends, This is to announce that I have decided to no longer tour with the band Chicago. I came to this decision after many sleepless nights and much soul searching. I realize the great honor I was given to have played drums with this incredible band for quite nearly three decades, however, at this point in my life I no longer want to commit to 9 to 10 months out of every year being on the road. This in no small way is because I have finally found and married the love of my life, Mary, and I want to share more of my life with her. I must tell you though that I in no way intend to "retire". In fact to this end I am in negotiations with a major artist right now that will require much less time away from home and loved ones. I'm still strong as a horse and very healthy thank God! I wish to thank all of the members of the band, past and present, our manager Peter Schivarelli, and all of you amazing fans who have made this incredible ride possible. Chicago truly has the best fans in the world! I look forward to making more music in the near future and appreciate your continued support. Stay tuned! With much gratitude, Tris"
"Hi everyone, I’m sure many of you are still reeling from Tris's announcement the other day. I have to tell you, it was so heartwarming to see all the love, admiration, respect and appreciation for Tris coming from all of you! He so deserves the praise because not only is he a brilliant musician, but he’s also one hell of a nice guy! Seriously, one of the sweetest people I’ve ever known and an absolute thrill to play music with! I am coming to you today with a heavy heart to announce that I am also leaving Chicago. In fact, we both played our last show earlier this week. Let me just start off by saying that for me, musically, playing with Chicago was like a match made in heaven! It truly was. It felt so natural from the very start. This amazing music is as much a part of my life as it is yours. To be offered the opportunity to play with such an incredible lineup of A-list musicians was a blessing, a privilege and an honor! Every time we got on stage to play for you, it brought me great joy, as I hope it did for you. This decision was made after much deliberation and consideration for what is best for my family and my career. As many of you know, my family is my whole world! I cherish them above all else. It can be very difficult at times to find the right balance in life between work and happiness, or even how you define success. You have to weigh the sacrifices, decide what is most important to you and stand up for what you believe is right. We’ve all faced this same dilemma at some point, I’m sure. As Tris alluded, the scale here leans more and more towards heavy touring, with NO time for anything else. It wasn’t the right balance for me. As Chicago moves forward, I wish them continued success with their long and illustrious career. I want to thank my buddy Keith Howland for not only finding me, but helping me prepare for the show. To my friend and partner in rhythm, Tris, I truly believe we were destined to play together my friend. I also want to thank all the amazing Chicago fans who so warmly embraced the new guy! You are all very inspiring! To my Bus #2 peeps, I love you! What an amazing band that would be!! Although I’m saying goodbye to touring with Chicago, this doesn’t mean I’m saying goodbye to you. On the contrary … I’m not going anywhere! I have a lot of new music coming your way as I’m in the process of finishing my 3rd and latest solo CD with the first single and video to hit in Feb. I’ll also be completing a really cool band project with some very special people. And touring is not out of the picture either. So, I hope you will continue to follow me as I move forward on the next phase of my musical journey. With much love! Jeff." "To our beloved fans, As many of you have already heard, our long-time drummer Tris Imboden has resigned. For nearly thirty years Tris has shared his tremendous talent, and indeed his life, with Chicago. We are fortunate to have known him and grateful to have shared the stage with him these many years. He has been a great friend and band mate and we’ll miss his enthusiasm and contagious smile. We wish Tris and Mary a lifetime of happiness together. Walfredo Reyes Jr. has been touring with Chicago for many years as percussionist, but as most of you already know, he is also an accomplished drummer. Walfredo has been fusing the two disciplines of drummer and percussionist since his teen-age years and has toured and/or recorded with an impressive number of artists including Carlos Santana, Steve Winwood and Smokey Robinson, just to name a few. We are thrilled that he will be taking over on drums as we continue our 2018 tour. We are also saying goodbye to our newest band mate Jeff Coffey, talented bassist and vocalist. While Jeff was only with us for a short time, we are grateful for his considerable contributions and his dedication. We wish him continued success with his solo career and in all his professional endeavors. The rigors of touring are immense. Now, in our 51st consecutive year of touring, we understand the toll it takes on families, the birthdays and milestones that are missed and the strain of being away from loved ones for weeks at a time. Chicago routinely plays over 100 events a year. When you add in travel days, band members are away from home for over 150 days a year. It is a difficult life, but also one filled with tremendous rewards. We look forward to sharing those rewards as we welcome new members to the band. Many of you are already familiar with Canadian Neil Donell who has been enthusiastically received as a guest vocalist with Chicago on occasion, we now welcome him as an official band member taking over lead tenor vocals. On bass we will be joined by Brett Simons who has toured and recorded with musical icons such as Brian Wilson, Fiona Apple and Melissa Etheridge. We will be posting more about these new members in the weeks and months to come, and hope you will embrace them with the same love and support you have for all present and former Chicago band members. –Chicago, the band"
Here is a video of the new Chicago lead singer Neil Donell performing with the band in the past. Journey and Def Leppard announce joint tour. This joint tour had been rumored since earlier last year but then a public social media spat between Journey guitarist Neil Schon and keyboardist Jonathan Cain put the band's future in question. However, the rift in Journey seems to have been sufficiently patched up for a major classic rock tour featuring the two iconic bands. The tour is presently set for 58 shows and the bands are playing larger arenas than they have in recent years. Over the last two years When It Was Cool have seen both Journey and Def Leppard in separate concerts. The two together should make for a mega show. Def Leppard, in particular, performed above our expectations and Journey played a solid set with a strong performance by current frontman Arnel Pineda. Tom Petty died of an accidental drug overdose. Sadly, our final note on this classic rock news heavy week is that it has been reported that Tom Petty died of an accidental drug overdose last year. His family place the following statement on Tom Petty's official website detailing the extent of injuries and aliments which led to the classic rock legends unexpected death in 2017. "OUR FAMILY SAT TOGETHER THIS MORNING WITH THE MEDICAL EXAMINER – CORONER’S OFFICE AND WE WERE INFORMED OF THEIR FINAL ANALYSIS THAT TOM PETTY PASSED AWAY DUE TO AN ACCIDENTAL DRUG OVERDOSE AS A RESULT OF TAKING A VARIETY OF MEDICATIONS. UNFORTUNATELY TOM’S BODY SUFFERED FROM MANY SERIOUS AILMENTS INCLUDING EMPHYSEMA, KNEE PROBLEMS AND MOST SIGNIFICANTLY A FRACTURED HIP. DESPITE THIS PAINFUL INJURY HE INSISTED ON KEEPING HIS COMMITMENT TO HIS FANS AND HE TOURED FOR 53 DATES WITH A FRACTURED HIP AND, AS HE DID, IT WORSENED TO A MORE SERIOUS INJURY. ON THE DAY HE DIED HE WAS INFORMED HIS HIP HAD GRADUATED TO A FULL ON BREAK AND IT IS OUR FEELING THAT THE PAIN WAS SIMPLY UNBEARABLE AND WAS THE CAUSE FOR HIS OVER USE OF MEDICATION. WE KNEW BEFORE THE REPORT WAS SHARED WITH US THAT HE WAS PRESCRIBED VARIOUS PAIN MEDICATIONS FOR A MULTITUDE OF ISSUES INCLUDING FENTANYL PATCHES AND WE FEEL CONFIDENT THAT THIS WAS, AS THE CORONER FOUND, AN UNFORTUNATE ACCIDENT. AS A FAMILY WE RECOGNIZE THIS REPORT MAY SPARK A FURTHER DISCUSSION ON THE OPIOID CRISIS AND WE FEEL THAT IT IS A HEALTHY AND NECESSARY DISCUSSION AND WE HOPE IN SOME WAY THIS REPORT CAN SAVE LIVES. MANY PEOPLE WHO OVERDOSE BEGIN WITH A LEGITIMATE INJURY OR SIMPLY DO NOT UNDERSTAND THE POTENCY AND DEADLY NATURE OF THESE MEDICATIONS. ON A POSITIVE NOTE WE NOW KNOW FOR CERTAIN HE WENT PAINLESSLY AND BEAUTIFULLY EXHAUSTED AFTER DOING WHAT HE LOVED THE MOST, FOR ONE LAST TIME, PERFORMING LIVE WITH HIS UNMATCHABLE ROCK BAND FOR HIS LOYAL FANS ON THE BIGGEST TOUR OF HIS 40 PLUS YEAR CAREER. HE WAS EXTREMELY PROUD OF THAT ACHIEVEMENT IN THE DAYS BEFORE HE PASSED. WE CONTINUE TO MOURN WITH YOU AND MARVEL AT TOM PETTY AND THE HEARTBREAKERS INCREDIBLE POSITIVE IMPACT ON MUSIC AND THE WORLD. AND WE THANK YOU ALL FOR YOUR LOVE AND SUPPORT OVER THE LAST MONTHS. THANK YOU ALSO FOR RESPECTING THE MEMORY OF A MAN WHO WAS TRULY GREAT DURING HIS TIME ON THIS PLANET BOTH PUBLICLY AND PRIVATELY. WE WOULD BE GRATEFUL IF YOU COULD RESPECT THE PRIVACY OF THE ENTIRE HEARTBREAKER FAMILY DURING THIS DIFFICULT TIME. DANA PETTY AND ADRIA PETTY"
We will follow up on this and many other classic rock related stories on this week's When It Was Cool Podcast. Check us out on iTunes and all major podcast apps and directly at - When It Was Cool Podcast.